Can Spacetime Studios deliver another multiplayer masterpiece? Even if you're completely new to the mobile MMO scene, you've almost certainly at least heard of Spacetime Studios' output in recent years. The developers have been responsible for some of the best cooperative mobile RPGs, from the primitive but addictive Pocket Legends to the more ghoulish delights of Dark Legends. 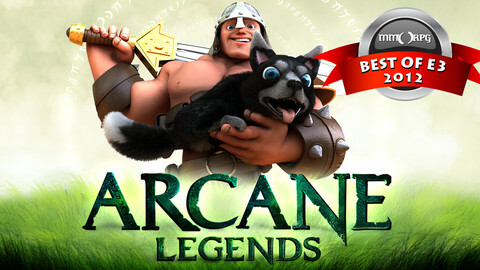 Next up from the studio is Arcane Legends, a very traditional but expansive fantasy co-op RPG, and a game that draws on all of the polish and experience of mainstream games like World of Warcraft to deliver one of the best RPG games we've played in some time. As you'd imagine, the game starts with a choice. Are you the Sorcerer who favors melting enemies from afar with magical mayhem, the Warrior who prefers to get up close and personal with his enemies, or the rogue who specializes in the sneaky backstab approach to dominating the battlefield? There's another choice to be made too, as you select a combat and loot-gathering pet before heading into battle. Once in the game proper, you're tasked with some very familiar fantasy fare, such as saving a village from a goblin invasion, or killing so many enemies to gather just enough trinkets to please the quest-giver. If the mission structure's a little familiar, the world itself is far from safe territory, with some beautiful artwork and an impressive framerate that can be tweaked to suit your device's battery. 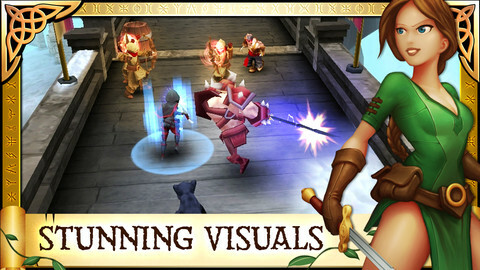 Combat itself is extremely competent, with a basic attack that can be charged up for mightier damage, as well as more powerful skills that you acquire through leveling. Movement is slick too, with one of the best virtual joysticks we've enjoyed on a touchscreen. 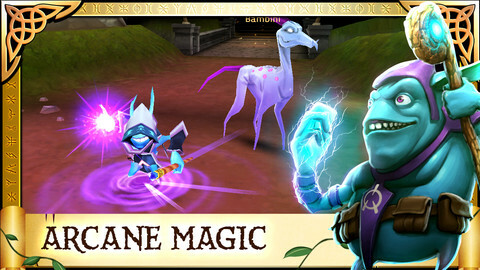 Rest assured that if your principle concern about touchscreen MMO gaming involves the competence of the controls, you have nothing to fear from Arcane Legends. That tightly tuned interface becomes even more important as you level up and acquire new combat skills that nestle comfortably on the screen. You'll also have to invest points into your stats to give your character its own unique flavor, and there's a generous selection of different traits to choose from to add a further personal touch. 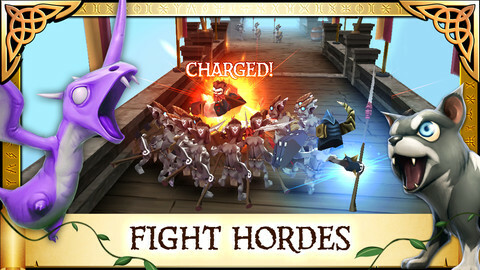 There are plenty of new pets to acquire along the way too, each having their own distinct combat abilities. Although much of the game is played solo as you level up, the game boasts one of the best partying systems we've seen in mobile gaming. Just a single button press will issue a party invite to anyone within your proximity, allowing for very easy grouping and encouraging a sense of community within the game. On a large scale, you can even form guilds of like-minded players to head out with and hoover up the game's generous selection of armor and equipment. There is a cash shop in the game, and pets in particular cost a fair chunk of currency to keep well-fed and happy, but we've extracted more than enough content and fun from the game already to justify the investment of time. If you're determined to keep your wallet in your pocket, it will simply take you a little longer to stand alongside the mightiest of warriors. Is everything about the game fantastic? Sadly not, and the exceptionally low-quality of the audio compression is a particular low-point. You'll also face a fair number of loading screens, particularly when entering an entirely new level, and the game has to download and unpack an update before you can access it. Combat is much more of an automated affair than in previous games too, and those who prefer more hands-on targeting control may find themselves frustrated. 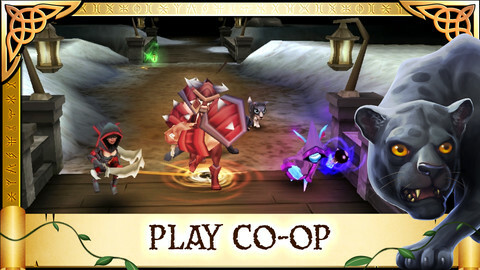 With that said, fans of Spacetime Studios' previous mobile games won't need any convincing to pick up this latest epic cooperative RPG, and they can rest assured that Arcane Legends packs in all of the features they've come to expect. For everyone else, this represents the most accessible game from the studio to date, and you may find themselves drawn in far deeper than you'd have expected. What's Hot: Beautiful graphics, fantastic character customization, and a superb party-forming system that every developer should copy. What's Not: The sound is extremely low quality and jars with the polish found elsewhere. Questing is fairly simplistic in nature.